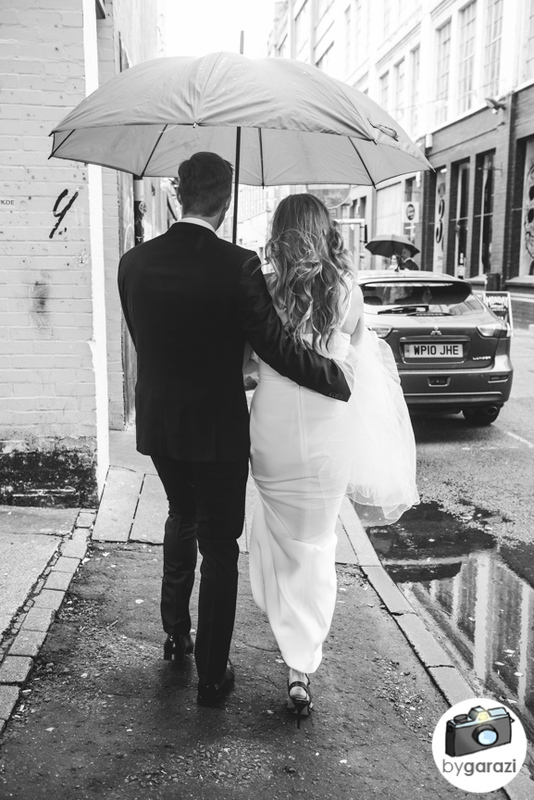 Oh how I love a city wedding... 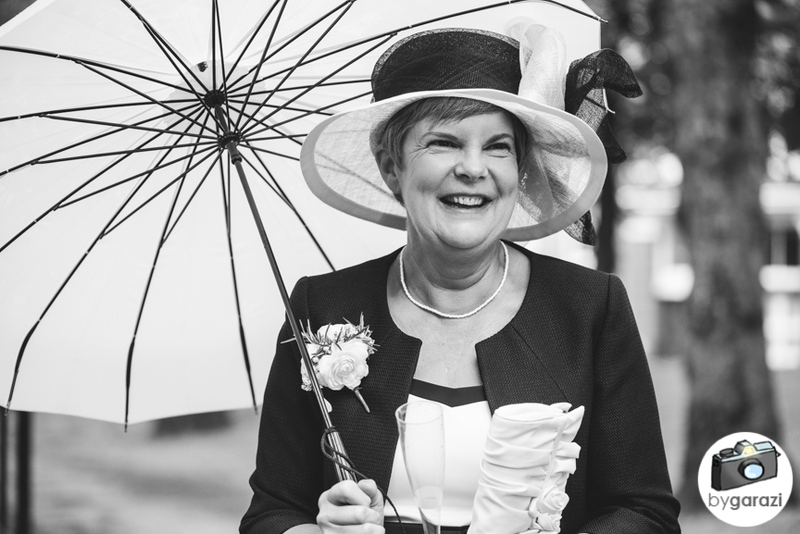 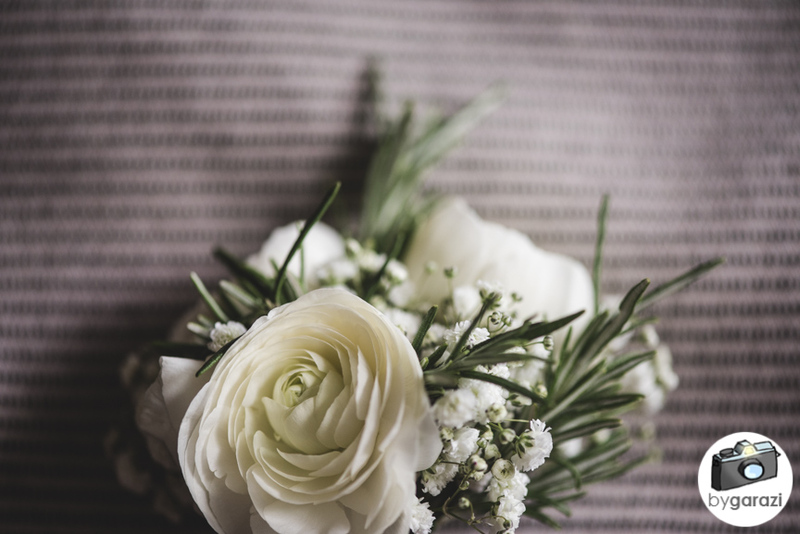 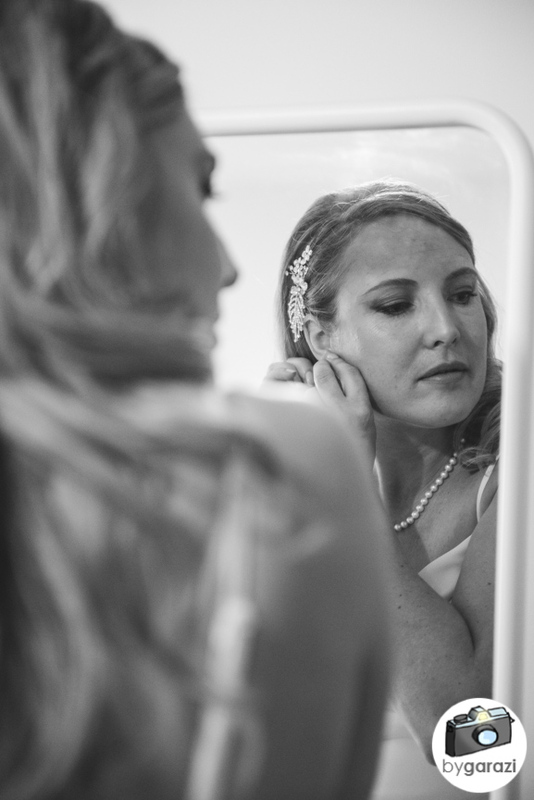 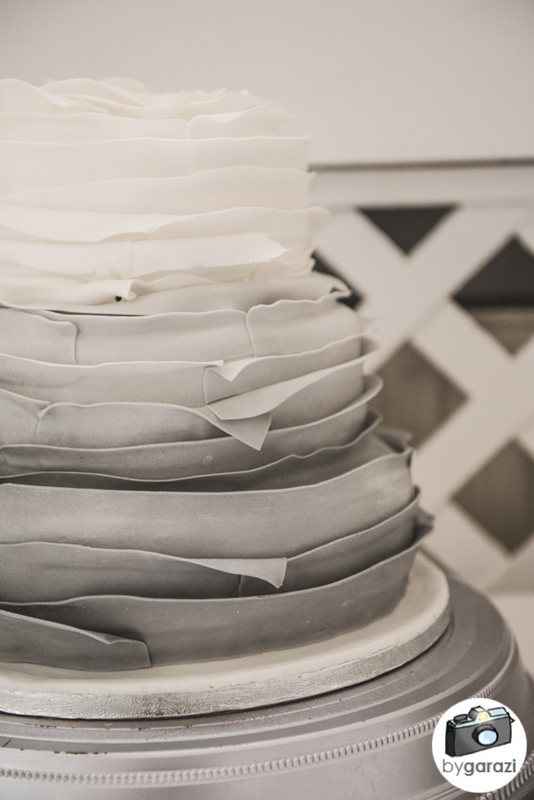 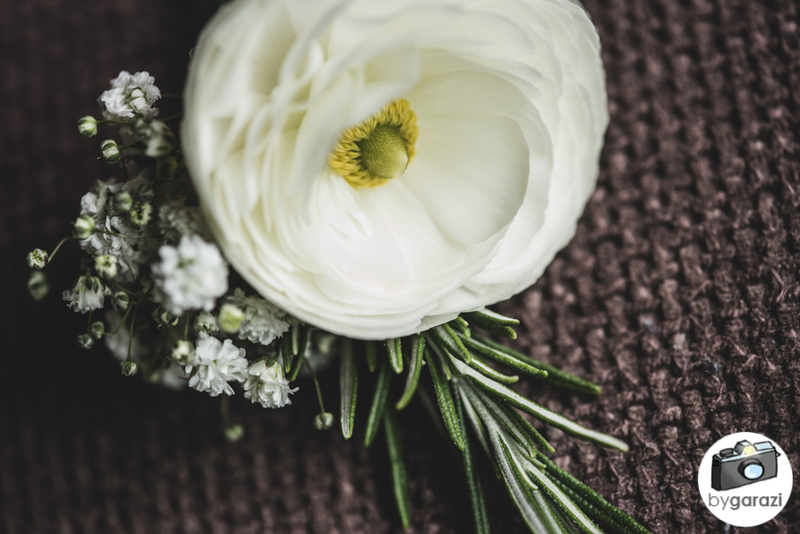 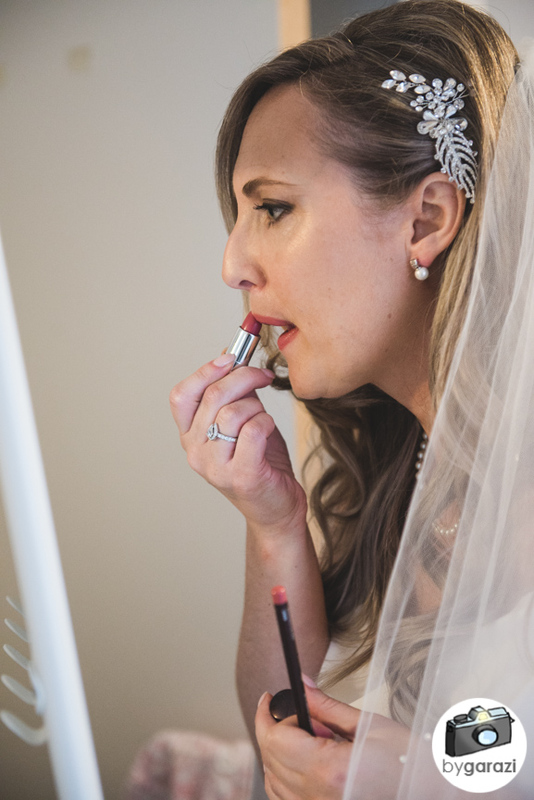 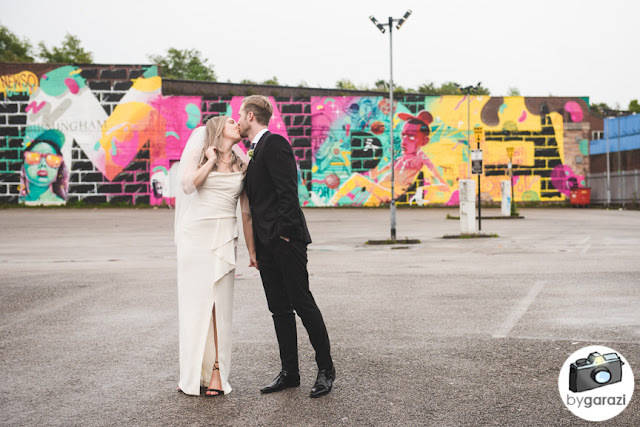 I live in an industrial area, my studio is in an industrial area and I love a wedding in an industrial area! 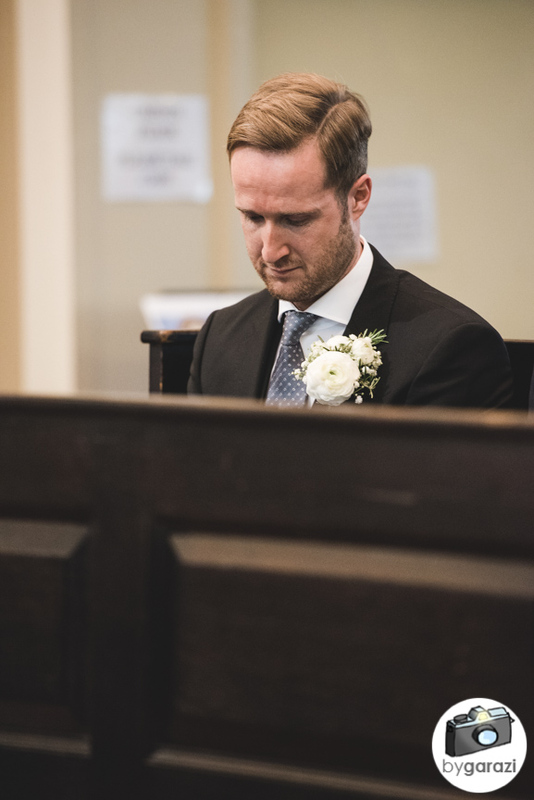 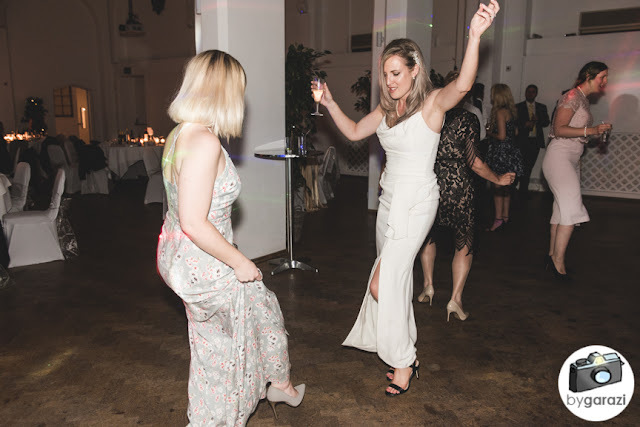 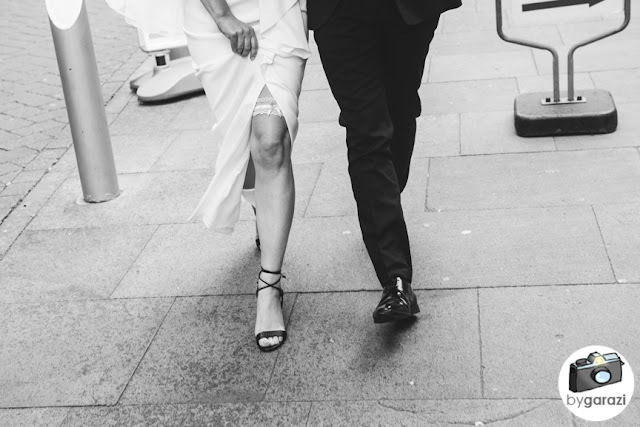 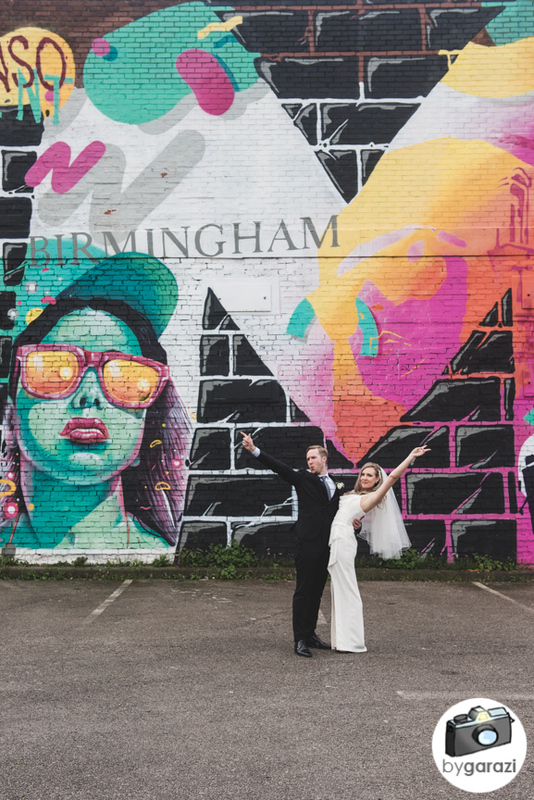 This was a central Birmingham wedding through and through. 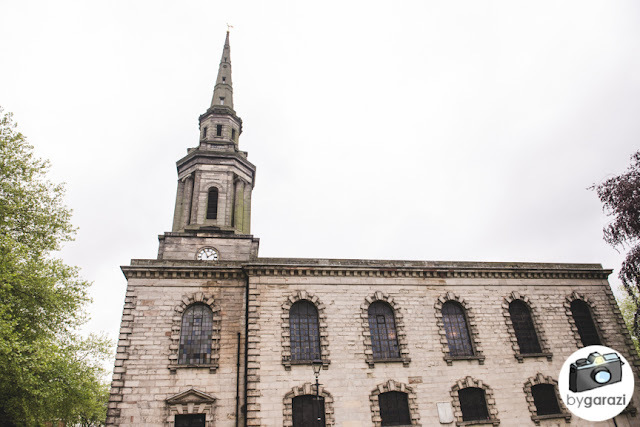 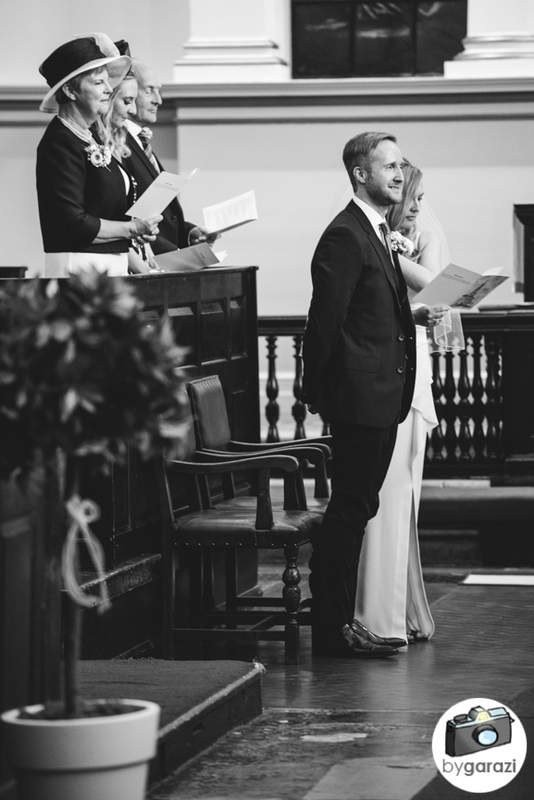 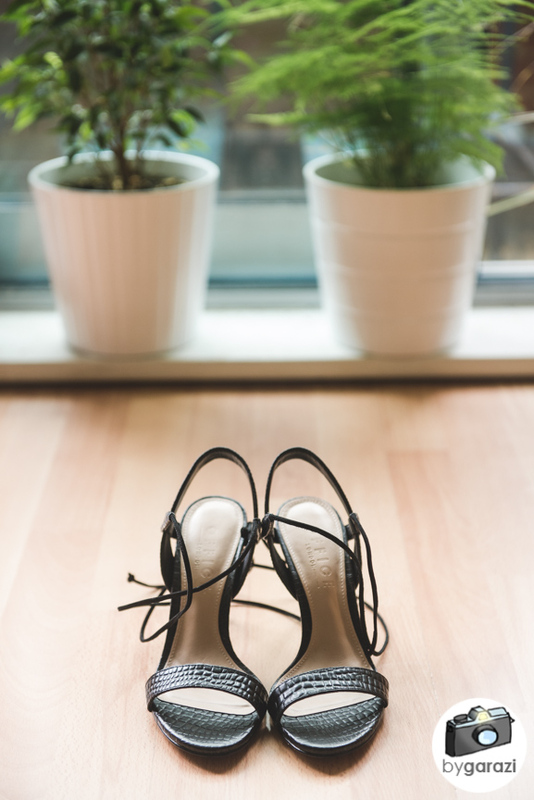 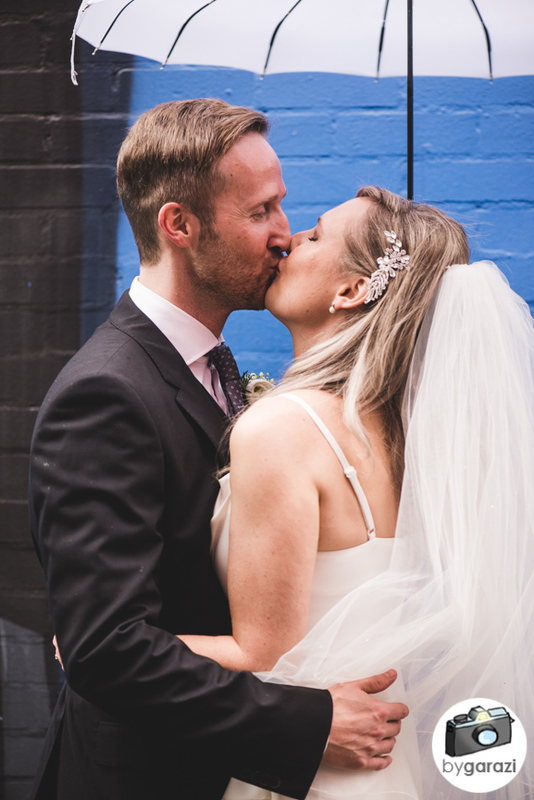 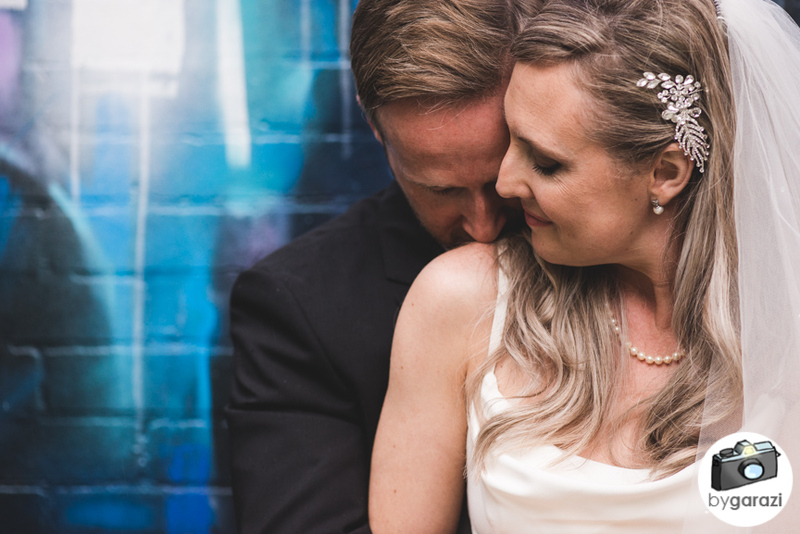 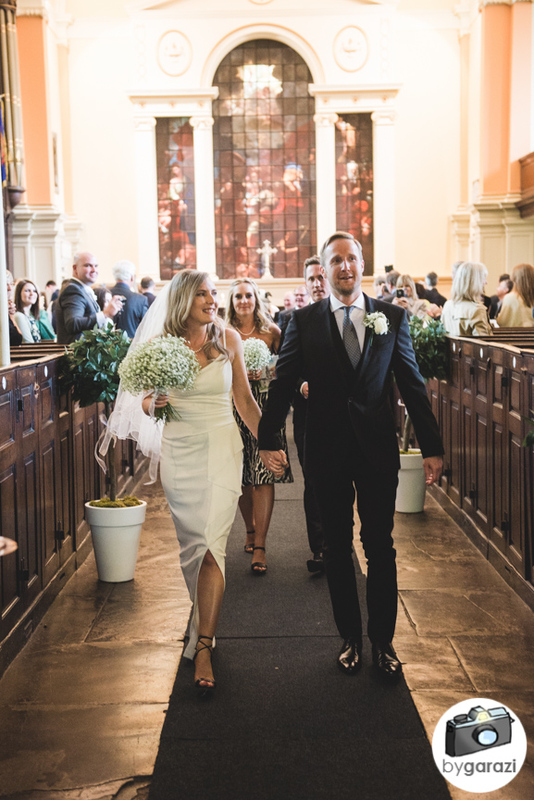 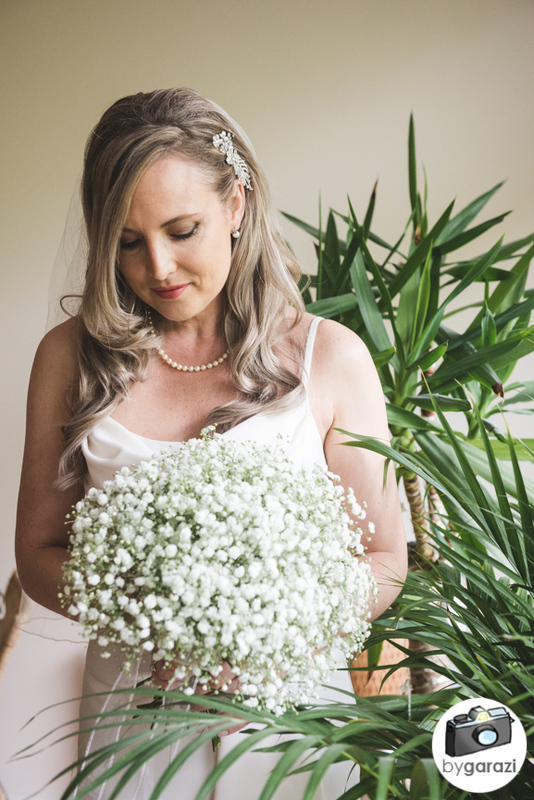 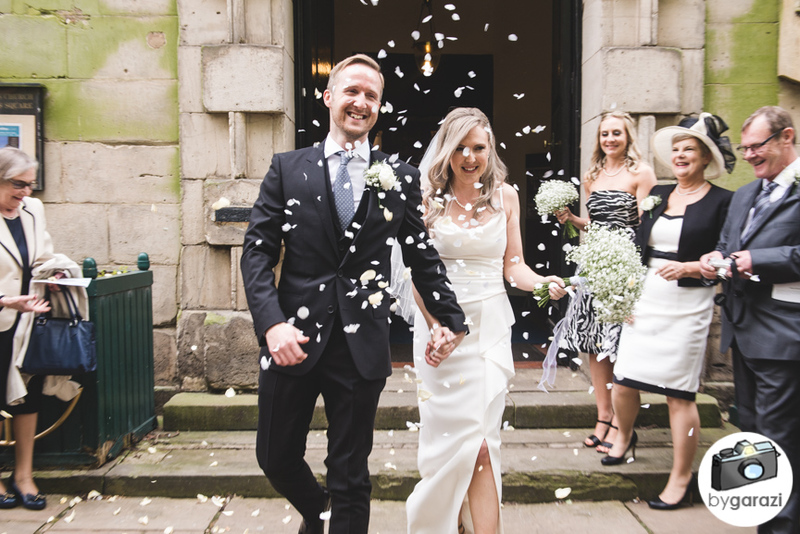 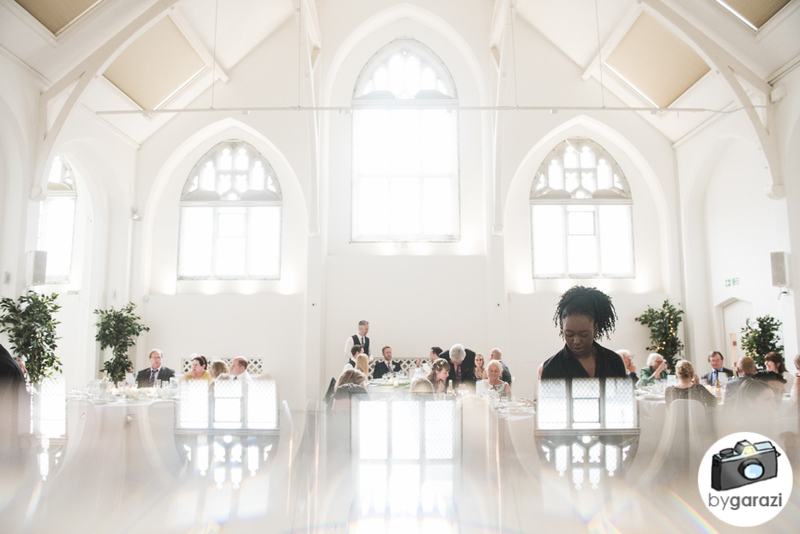 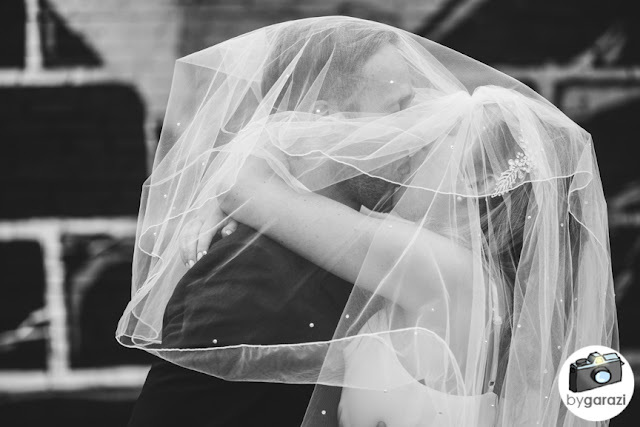 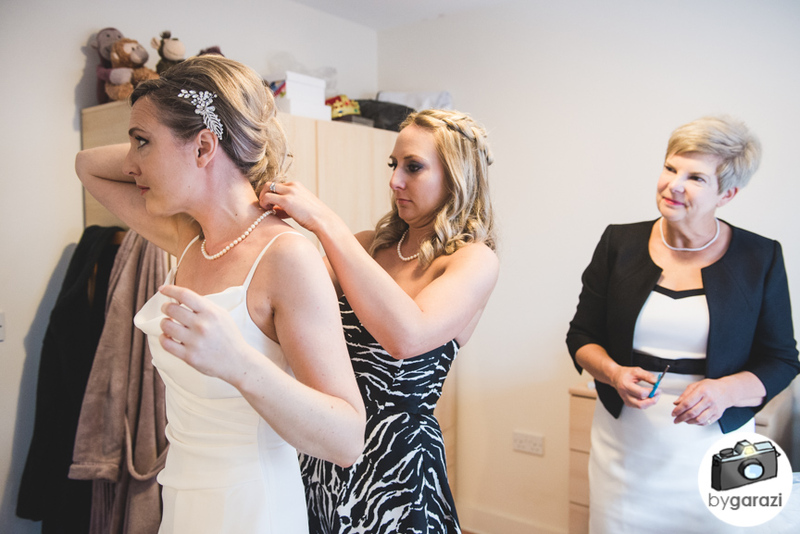 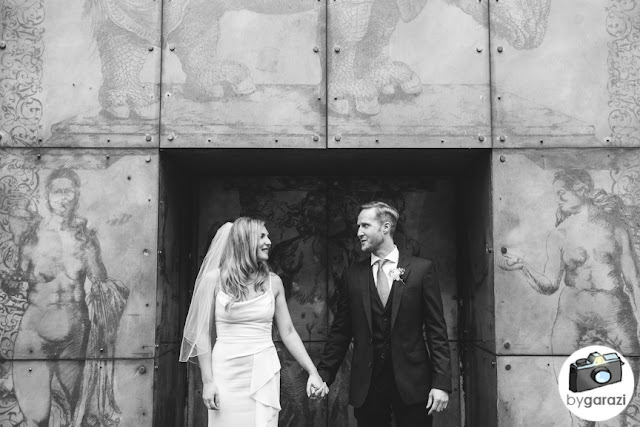 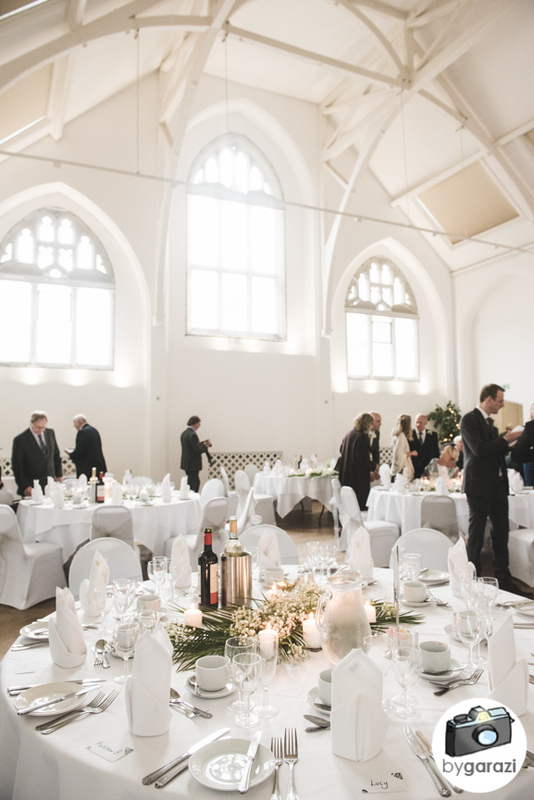 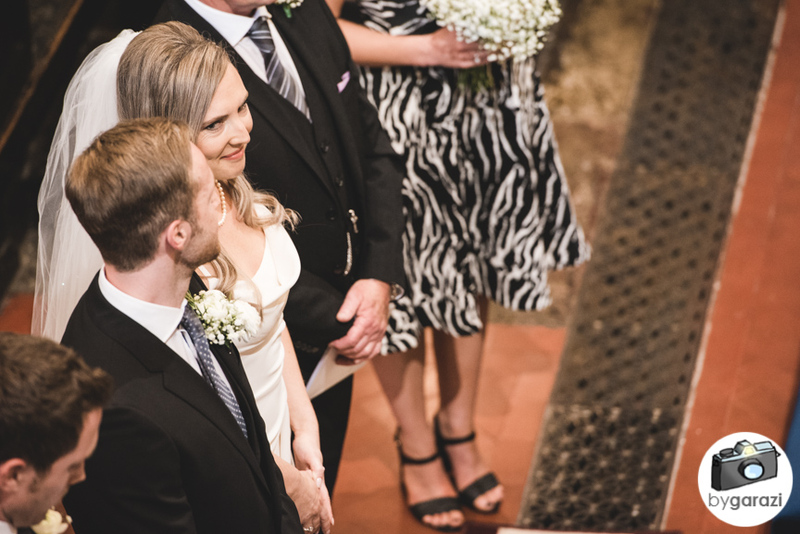 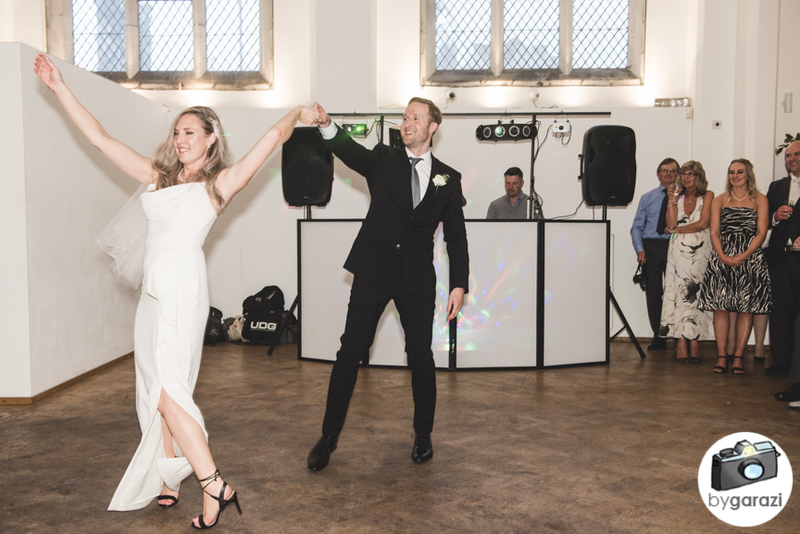 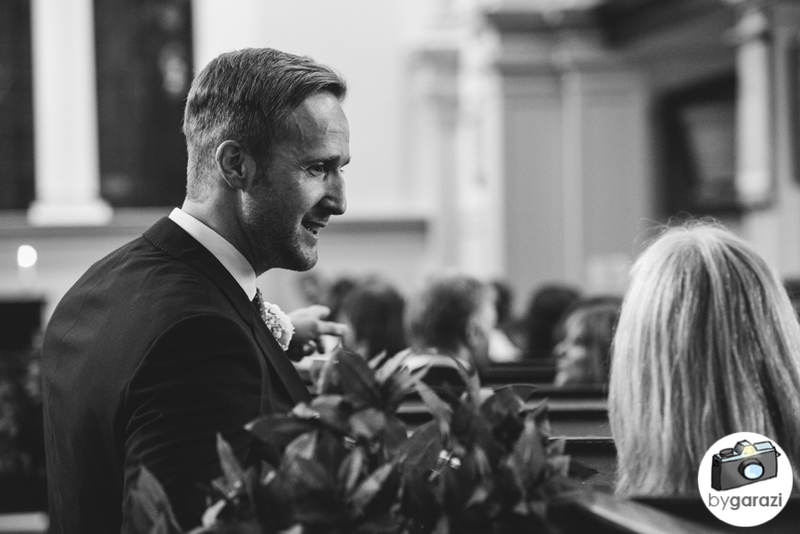 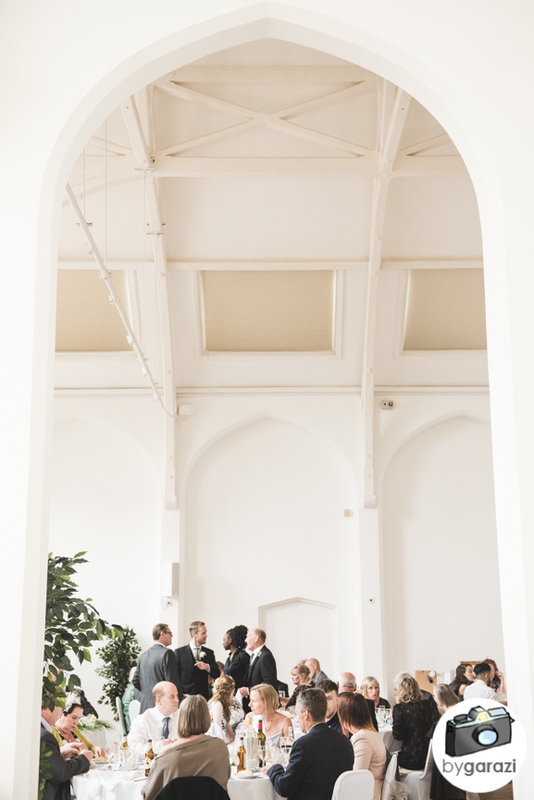 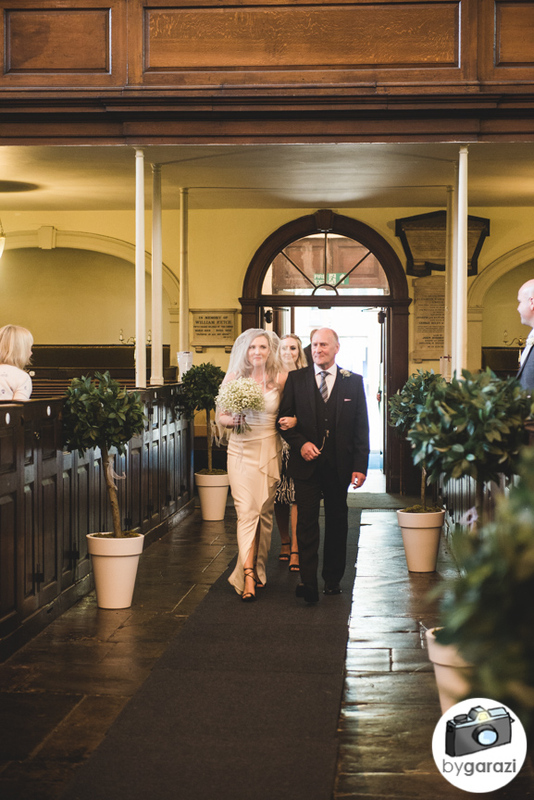 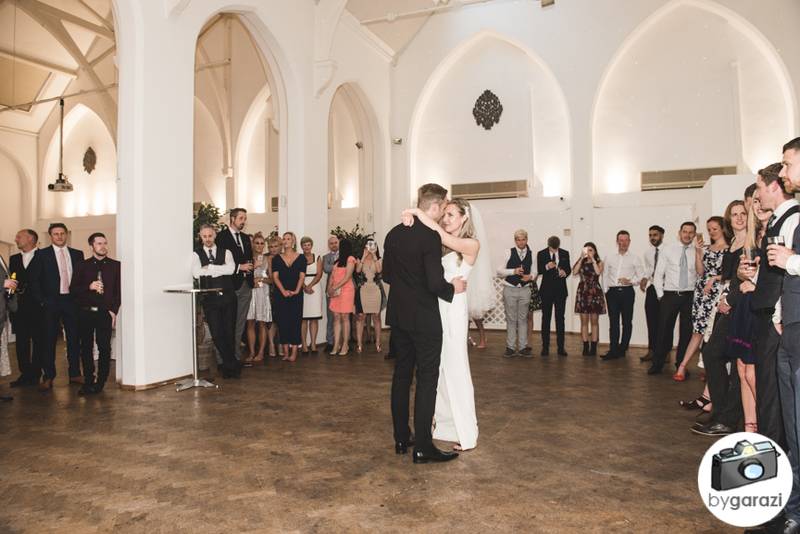 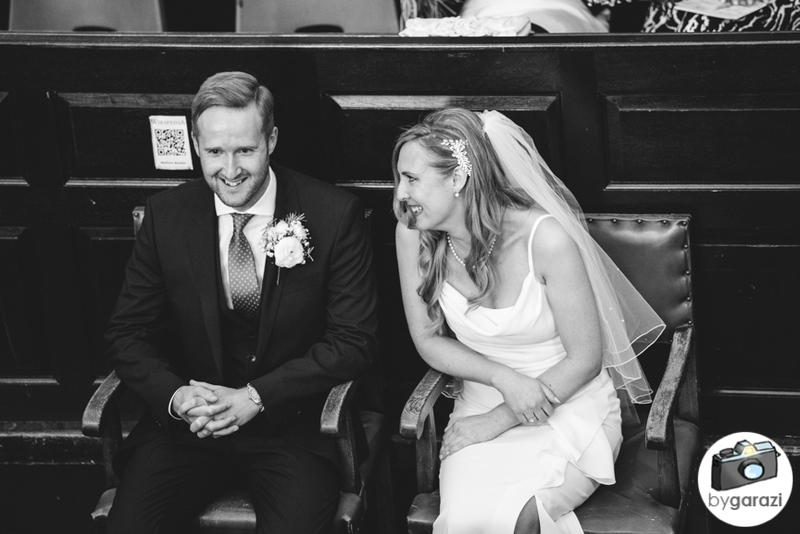 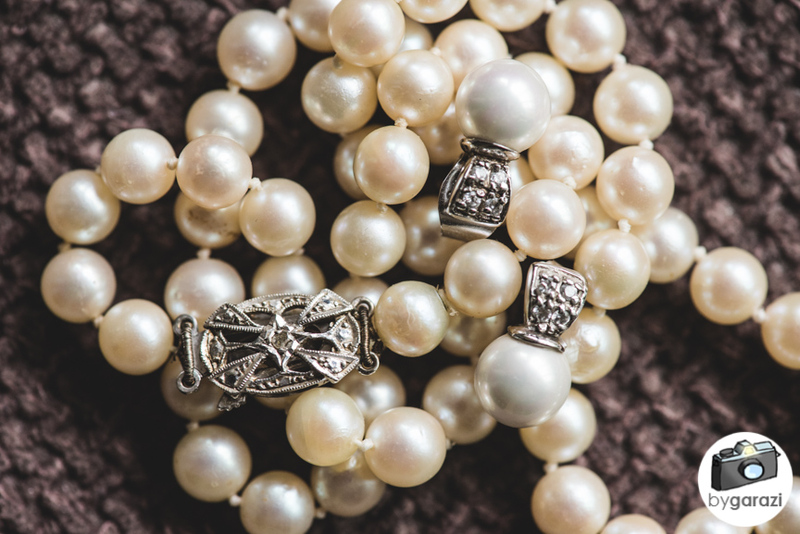 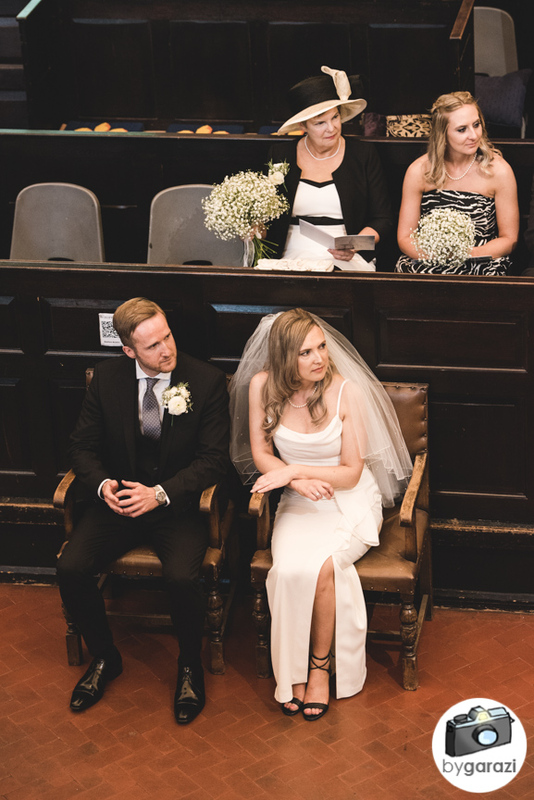 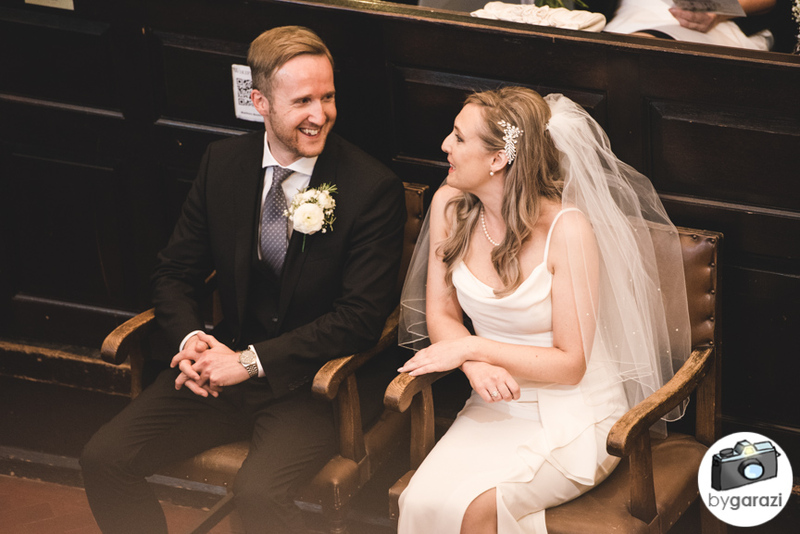 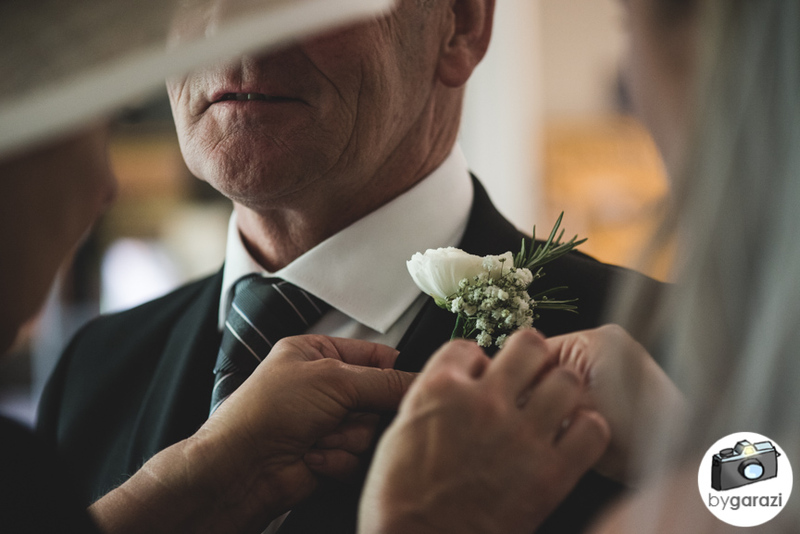 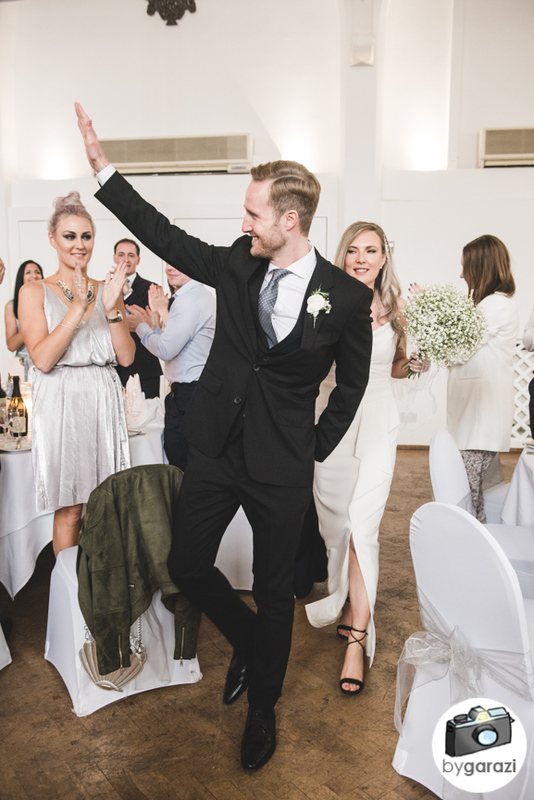 The couple got married in St Paul's Church in the Jewellery Quarter (and you could see the church from their flat!) 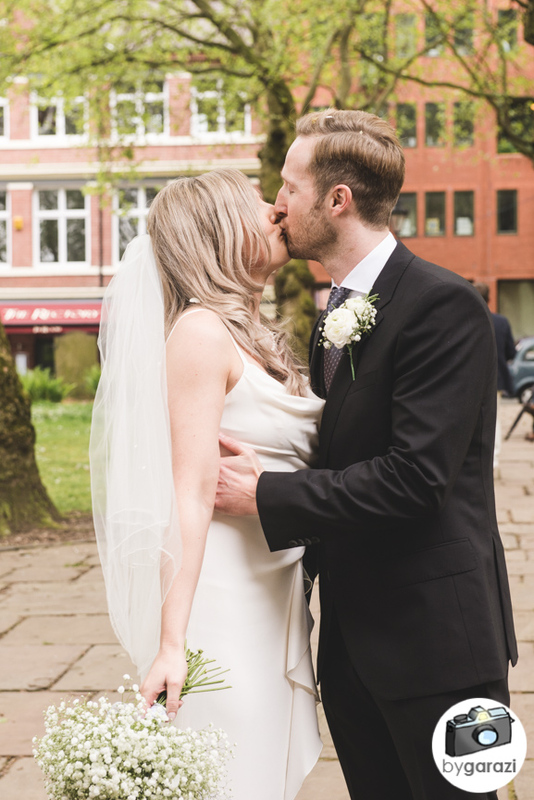 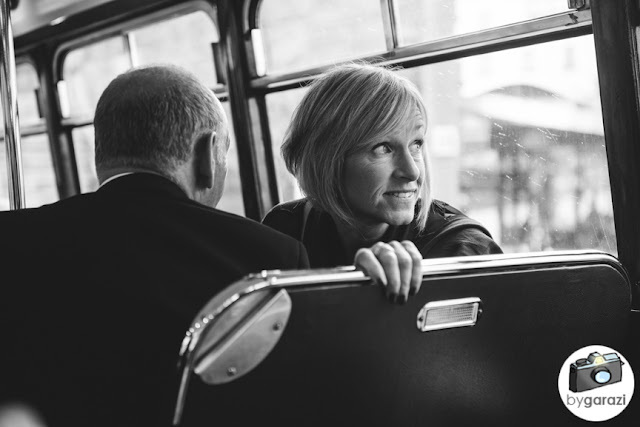 and then headed over to The Old Library at the Custard Factory by bus for the reception. 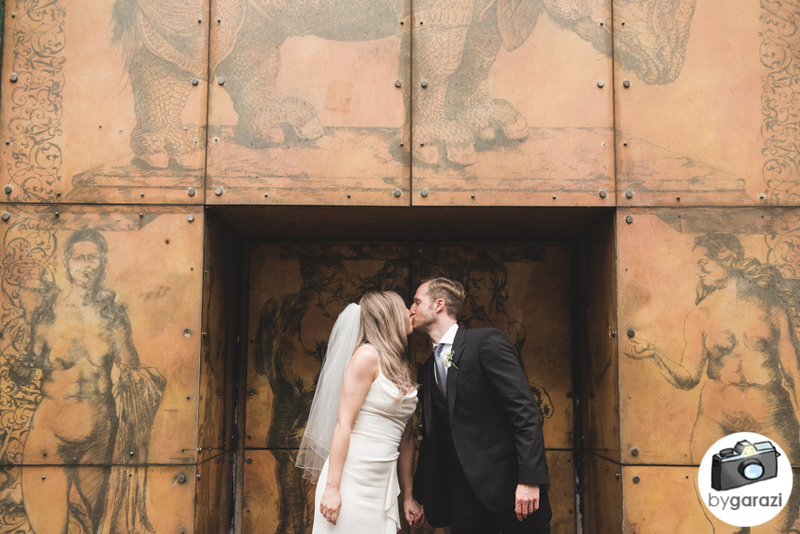 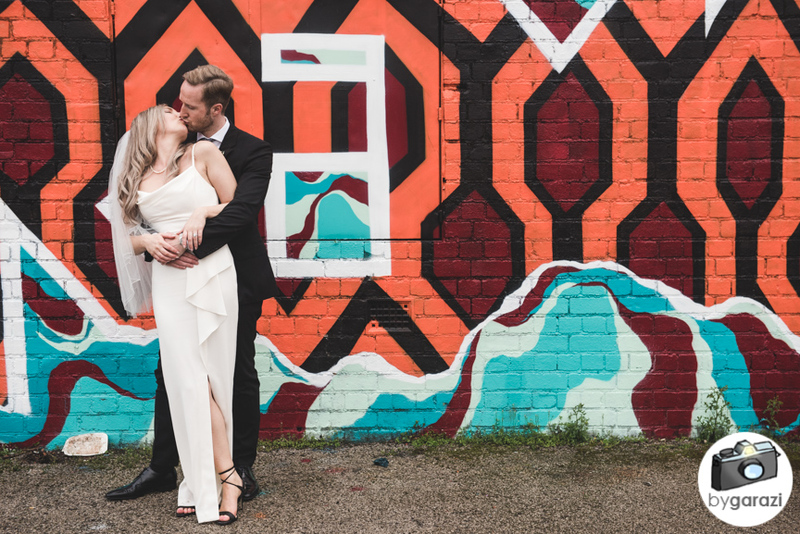 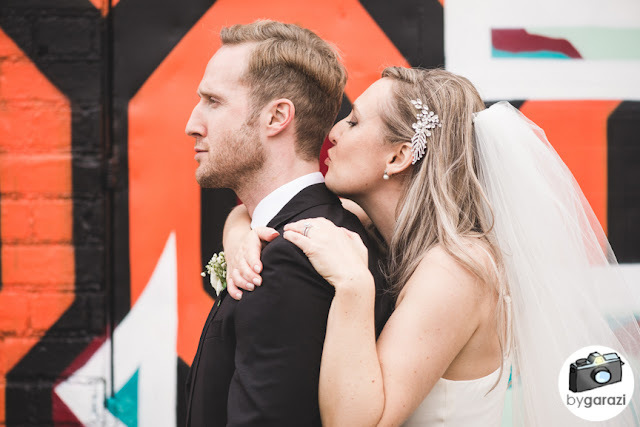 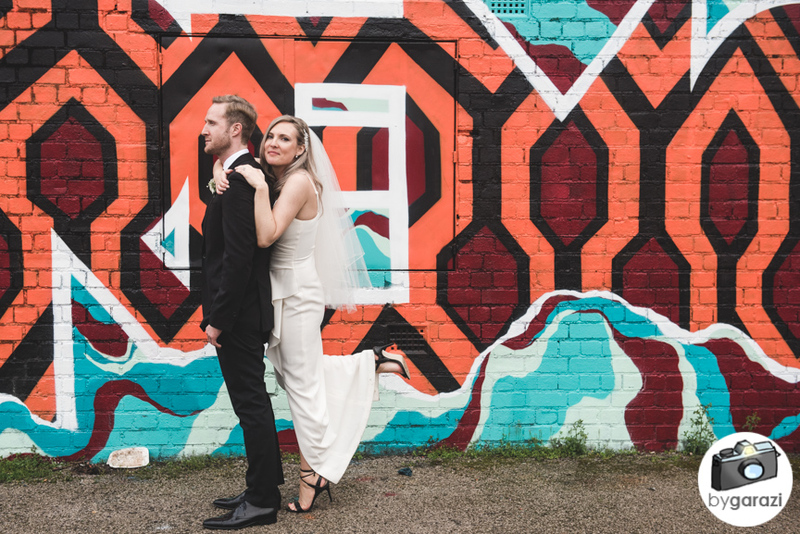 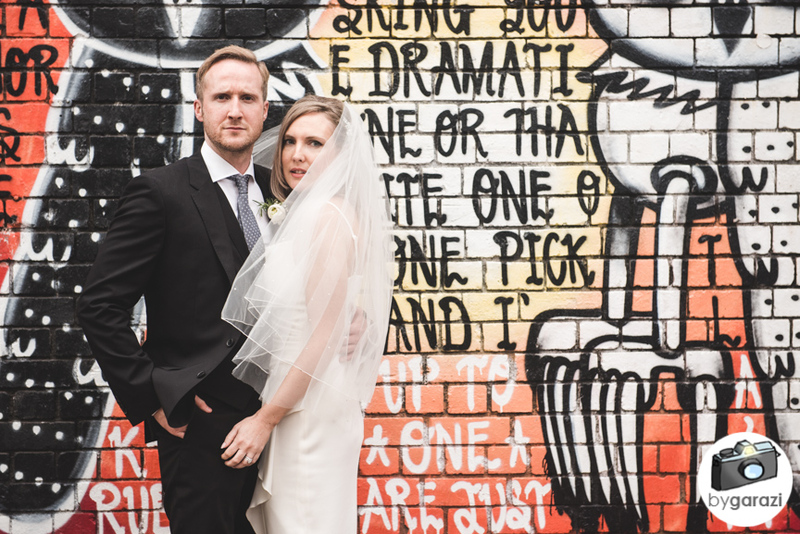 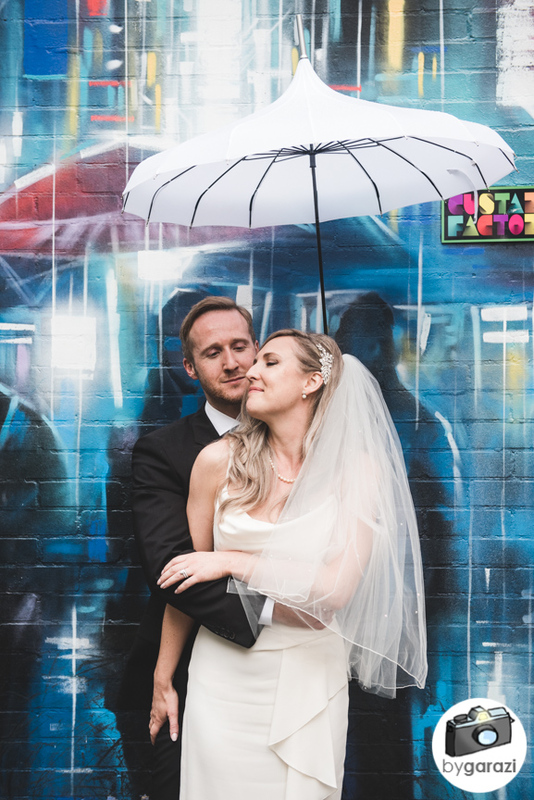 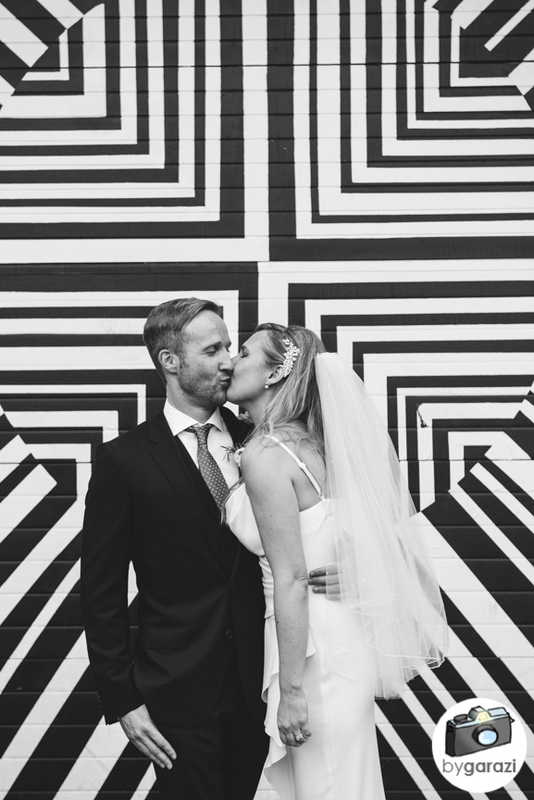 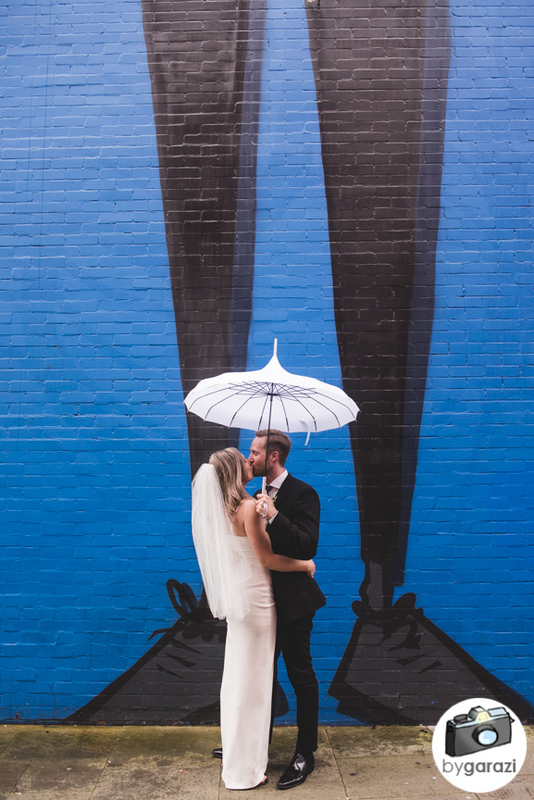 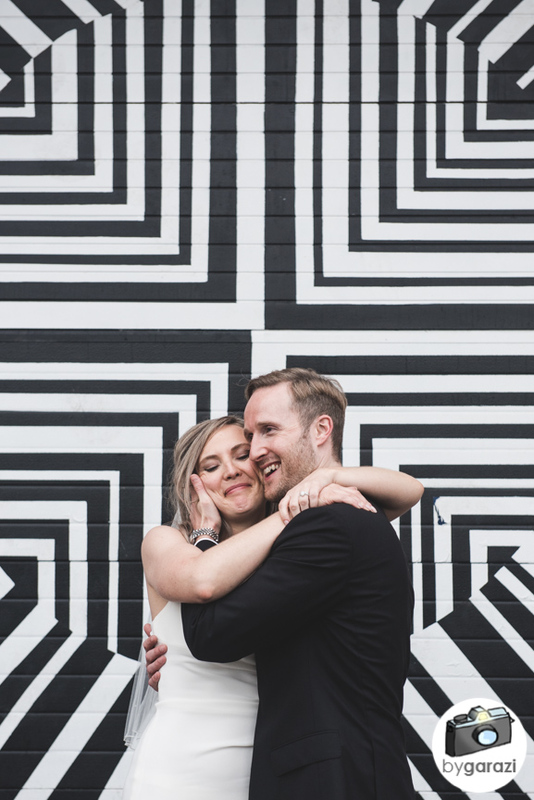 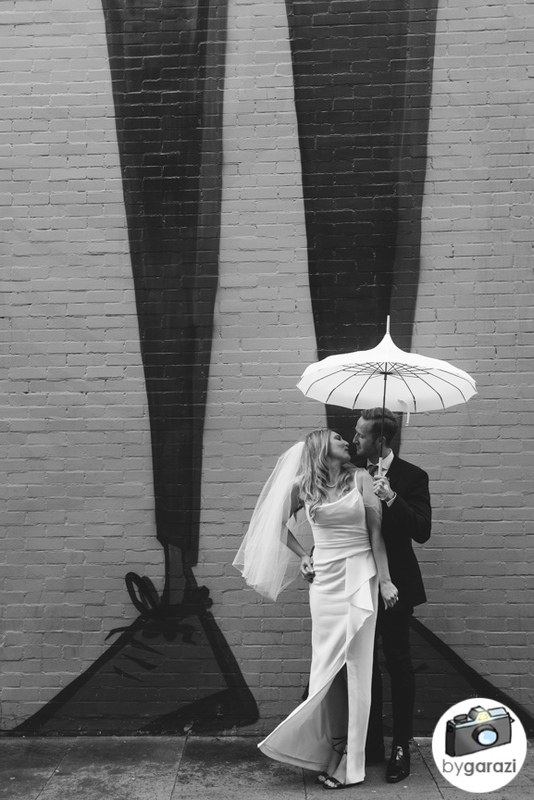 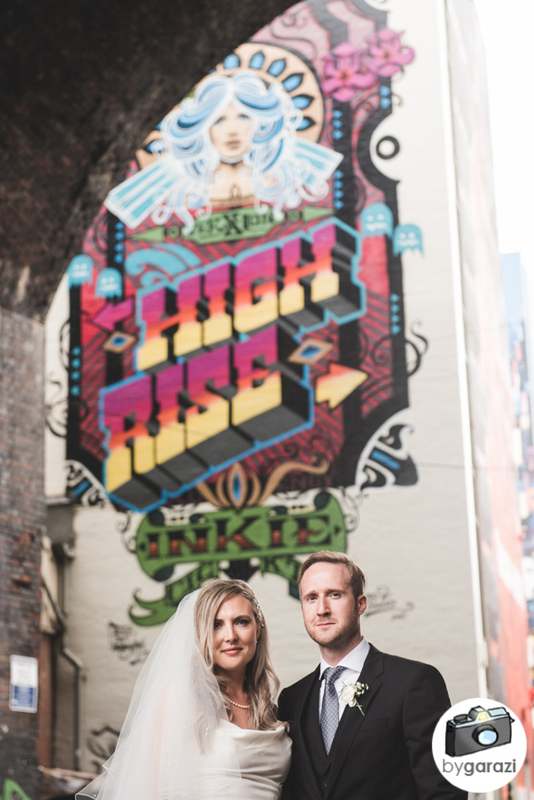 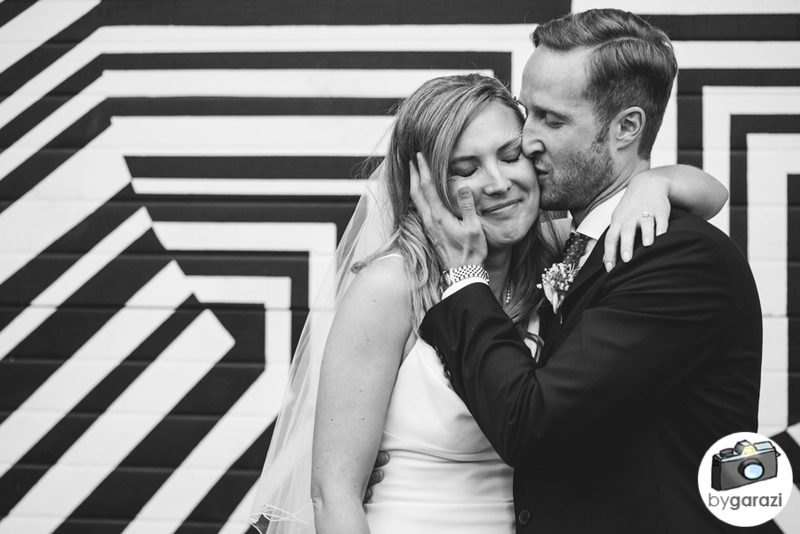 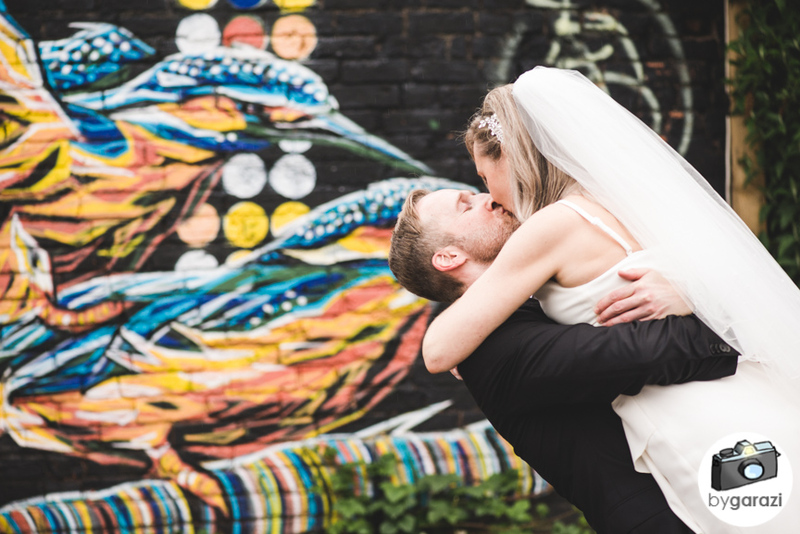 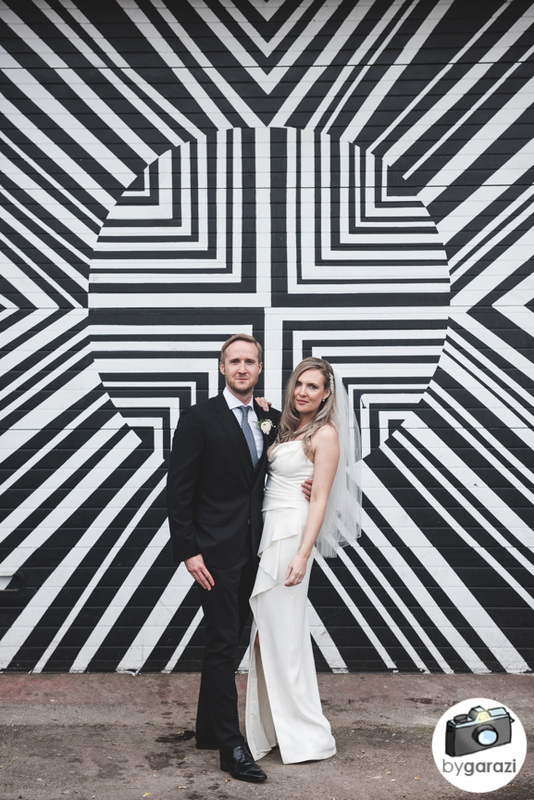 Even the grey and rain could not put a dampener on the day, which was made all the more colourful with all the graffiti filled walls that served at backdrops for the couple portraits. 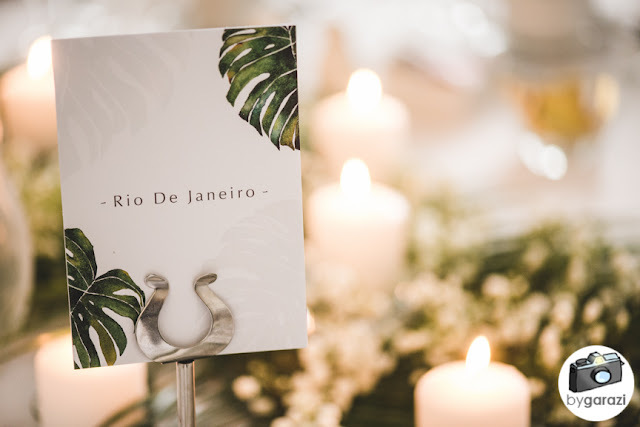 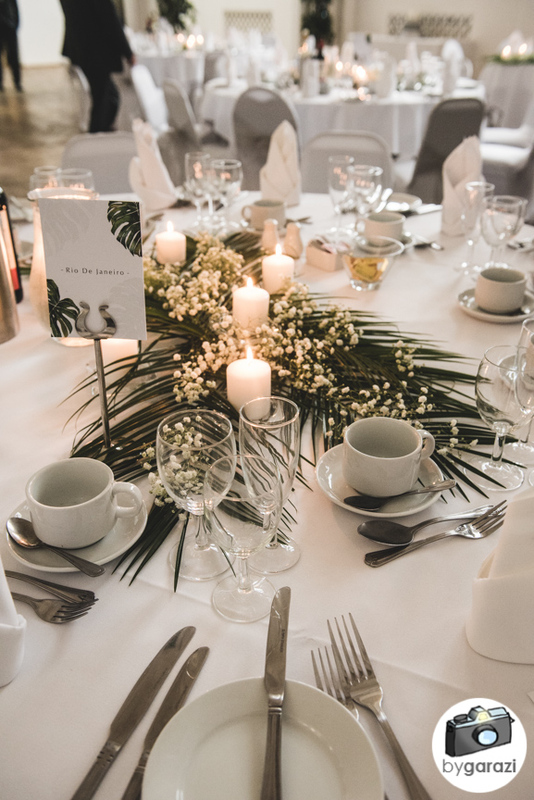 The cake was baked by a friend and the tables and invites were filled with tropical leaves, including a favourite of Monstera leaves!